Queen Elizabeth II is a name that has been in political fame for several decades now. She is the longest-serving monarch in the history of Great Britain as well as world’s oldest monarch. The Queen is Head of State of the UK and 15 other Commonwealth states. As the ceremonial head of the British empire, she formally approves all government legislation, though she does this on the advice of the Prime Minister. Aside from her political and traditional duties, she is also the Supreme Governor of the established Church of England. Queen Elizabeth II is one of the most famous women in the world. She has visited many countries and met many world leaders. She has probably travelled more miles than any king or queen in history. You must have heard about her but you need to know a lot more about this longtime British Monarch. Here is everything you must know about Queen Elizabeth II. 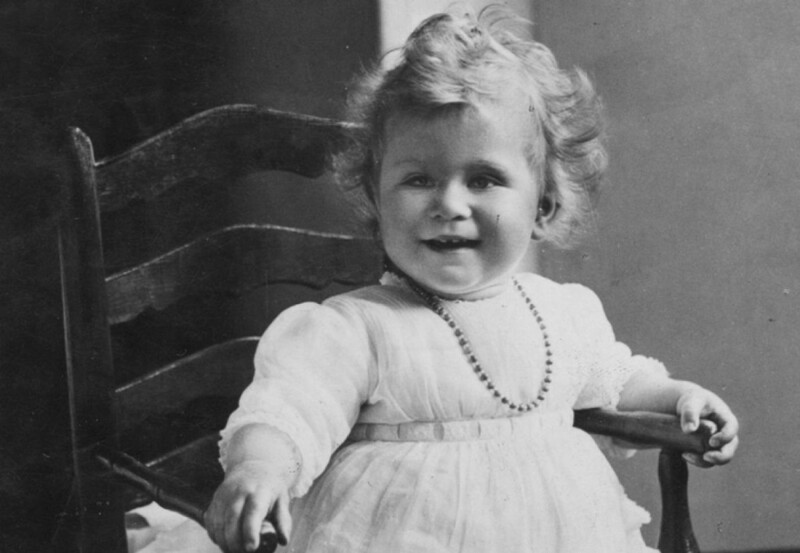 Queen Elizabeth II was born Princess Elizabeth Alexandra Mary at 2.40 a.m, on April 21, 1926, at 17, Bruton Street, in London England, the first child to the second son of George V – Albert, Duke of York and the Duchess of York, the former Lady Elizabeth Bowes-Lyon. The Princess was christened Elizabeth Alexandra Mary in the private chapel at Buckingham Palace. She was named after her mother, while her two middle names are those of her paternal great-grandmother, Queen Alexandra, and paternal grandmother, Queen Mary. At the time of her birth, no one thought Elizabeth would someday become queen of Great Britain. Queen Elizabeth’s father, Prince Albert, was the second son of King George V and Queen Mary. Because of this, Elizabeth got to enjoy the first decade of her life with all the privileges of being a royalty but without the pressures of being an heir apparent. Nevertheless, in 1936, at the age of 10, the course of Elizabeth’s life changed with the death of her grandfather, King George V. Her uncle became King Edward VIII, but he was in love with American divorcee Wallis Simpson. Since his royal status will never permit such marriage, he was left with no more options than to choose between the crown and the lady he loves. Afterall, Edward chose Simpson and Elizabeth’s father, Prince Albert, became King George VI. That was how Elizabeth automatically became the heir to the throne. The mother of Queen Elizabeth II was Elizabeth Angela Marguerite Bowes-Lyon who died 30 March 2002. After the death of her husband in 1952, she stopped being the Queen of the United Kingdom and the Dominos with the throne passing on to her daughter. She was known from then as Queen Elizabeth The Queen Mother to halt any confusion with her daughter. Queen Elizabeth The Queen Mother was the last Empress of India. The Queen’s sister, Princess Margaret, Countess of Snowdon, was viewed as a controversial figure in the Royal family, up until her death in 2002. She had a divorce in 1978 which earned her negative publicity and was a heavy smoker for most of her adult life. After enduring a lung operation in 1985 and at least three strokes between 1998 and 2001 she died on 9th February 2002 at King Edward VII’s Hospital. Elizabeth and her younger sister Margaret, who was born four years after Elizabeth were educated at home by private tutors. Their studies included French, mathematics, history and geography. They also took dancing, singing and art lessons. After her father ascended the throne in 1936 and she became heir apparent, she started to study constitutional history and law as preparation for her future role. At the age of 13, Princess Elizabeth met 18-year-old Prince Philip, her distant cousin. They fell in love and wanted to get married, but her father wanted to make sure it was real and not just because this was the first person she loved. Before they got married, Prince Philip renounced his royal title as a Prince of Greece and Denmark, became a British subject, and adopted the surname of his uncle Louis Mountbatten. He was named Duke of Edinburgh shortly before they got married but was not made a Prince of the United Kingdom until 1957. They got married on November 20, 1947, Elizabeth was 21 years old then. One year after her marriage to Prince Philip, Queen Elizabeth II had a son, Charles Philip Arthur George. In 1950, they had Anne Elizabeth Alice; in 1960, Prince Andrew; and in 1964 they were again blessed with another son, Prince Edward. The Queen currently has 8 grandchildren: Prince William Arthur Philip Louis (b. 21 June 1982), and Prince Henry Charles Albert David (b. 15 September 1984, Prince Charles’ sons), Peter Mark Andrew Phillips (b. 15 November 1977) and Zara Anne Elizabeth Phillips (b. 15 May 1981, Princess Anne’s children), Princess Beatrice Elizabeth Mary (b. 8 August 1988) and Princess Eugenie Victoria Helena (b. 23 March 1990, Prince Andrew’s daughters), Lady Louise Alice Elizabeth Mary (b. 8 November 2003) and James Alexander Philip Theo, Viscount Severn (b. 17 December 2007, Prince Edward’s children). On the death of George VI in 1952 she took over the mantle. She was in Kenya then, thereby becoming the first British monarch since the Act of Union in 1801 to be outside the country at the moment of succession. She was subsequently crowned on 2 June 1953 at Westminster Abbey, at the age of 25. The reign of Queen Elizabeth II since 1952 has spanned a period of rapid and occasionally turbulent change. Britain’s position in the world, her economy, and the very shape and structures of society have all been transformed and many traditional institutions have suffered in the process. Through all this, the path of the Crown has been marked out by The Queen herself, in a prolonged display of unwavering devotion to Duty and quiet pragmatism which has met a nationally felt need and has won her the respect and affection of her people. As hereditary head of State for Great Britain and Northern Ireland, and Head of the Commonwealth, she has symbolic and formal functions and duties but no direct powers. She is an embodiment of national identity and continuity and, with her family, performs countless formalities to mark events in the lives of individuals and communities. Queen Elizabeth has met with five Popes during her reign, namely: Pius XII, John XXIII, John Paul II, Benedict XVI, and Francis. In 1957, she made a state visit to the United States, where she addressed the United Nations General Assembly on behalf of the Commonwealth. On the same tour, she opened the 23rd Canadian Parliament, becoming the first monarch of Canada to open a parliamentary session. In 2012 she opened the London Olympics and celebrated her Diamond Jubilee of 60 years on the throne. Every year the Queen travels thousands of miles. She visits all parts of the United Kingdom. She makes ‘walkabouts’ so she can chat with people. She makes many trips abroad, and has visited more than 116 countries! In 1979, Elizabeth suffered a great personal loss when Lord Mountbatten, her husband’s uncle, died in a terrorist bombing. Mountbatten and several members of his family were aboard his boat on August 29, off the west coast of Ireland, when the vessel exploded. He and three others, including one of his grandsons, were killed. Subsequently, the Queen occasionally faced republican sentiments and severe press criticism of the royal family, but support for the monarchy and her personal popularity remain high. Around the 1980’s, public criticism of the royal family increased, as the personal and working lives of Elizabeth’s children came under media scrutiny. In 1981, she escaped a gunshot as she celebrated her birthday through the streets among a crowd. The next year, she was also harassed right inside her bedroom by an intruder but received prompt help from the police without being hurt. Elizabeth’s popularity sank to a low point in the 1990’s. Under pressure from public opinion, she began to pay income tax for the first time and Buckingham Palace was opened to the public. Discontent with the monarchy reached its peak on the death of Diana, Princess of Wales, though Elizabeth’s personal popularity and support for the monarchy rebounded after her live broadcast to the world five days after Diana’s death. Her mother and sister died in 2002 at the age of 71 and 101 respectively. It was the same year she celebrated her Golden Jubilee, that is, 50 years of reign. Elizabeth likes to spend her free time on quiet pastimes. She likes to read mysteries, work on crossword puzzles and even to watch wrestling on television. Her main leisure interests include equestrianism and dogs, especially her Pembroke Welsh Corgis. Her lifelong love of corgis began in 1933 with Dookie, the first corgi owned by her family. She also enjoys watching horse-racing, “Doctor Who” and the British comedy “Last of the Summer Wine” (1973). The Queen is heavily involved in charity works, being the patron of over 600 organisations and charities. Because of her advanced age and the need for her to limit travelling, she did not attend the biennial meeting of Commonwealth heads of government which took place in November 2013 in Sri Lanka; it was the first time since 1973 that she did not attend the meeting. She became the longest reigning Monarch in the history of Britain on the 9th of September, 2015. It was on that day that the length of her reign surpassed that of her great-great-grandmother, Queen Victoria, who has been the longest-served monarch before then. The Queen’s net worth is subject to a lot of speculation. In 2011, Forbes magazine estimated it to be as large as $500 million (about £325 million). In 2016, the Queen’s estate was implicated in the Paradise papers leak. Millions of pounds from her private estate were said to have been invested in offshore tax haven funds.